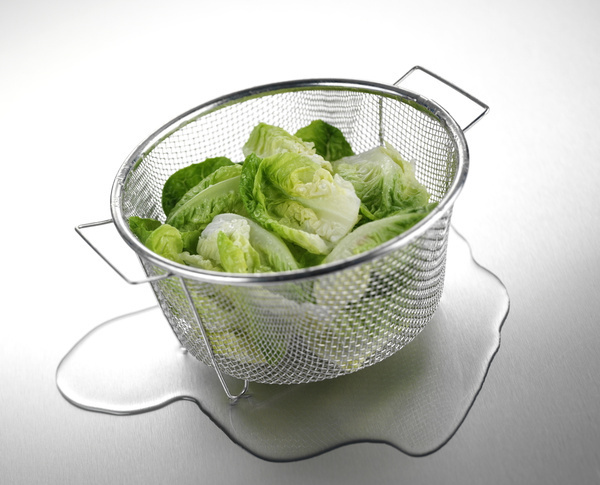 Wash and tear or chop the greens as usual, and spin them in the salad spinner. Once done, store them in a clean pillowcase in the refrigerator. The pillowcase not only houses as large quantity, but it also absorbs any excess water, keeping the greens crisp and fresh until it is ready to use. Just make sure the pillowcase has not been dried with a scented dryer sheet or anything that could give off an unpleasant flavor to the food. This entry was posted on March 17, 2015 at 6:38 am and is filed under Food. You can follow any responses to this entry through the RSS 2.0 feed. You can leave a response, or trackback from your own site. I never thought of this! I always struggle with lettuce storage that is not bulky but also absorbs the moisture- great idea!